Is it true the amount of income derived from the activity of blogging is the ONLY successful parameter a blogger? How many RSS subscribers? Or the large number of comments? Or even awards obtained a blogger? "So what are the actual parameters of success of a blog?" In this post I try to complete some of the other parameters that may be used as a measure of success or failure of a blog. From both these ratios will usually be easier to see the quality of visitors to a blog. A successful blog, usually have unique visitors and page views are high. In addition to the number of visitors, the number of RSS subscribers or RSS subscribers also can be the parameter of success of a blog. Just as it is with traffic: the more the number of RSS subscribers a blog, the more successful blog. Although not quite widely used by Indonesian bloggers, but today more and more blogs Indonesia who installed chicklet counter of FeedBurner feeds. That is, more and more Indonesian bloggers who understand the function of the RSS and accept it as one measure of success of a blog. Another parameter which can be a measure of success of a blog is the number of comments. The formula was the same: the more a comment on a blog, the more successful blog. In addition to the number of comments, the quality of the comments is also usually used as a measure of success of a blog. Because, often found blogs with comments spamming or just want to get a backlink. By providing quality criteria commentary, then the quality of a blog's success will be higher. SERP or search engine result pages or ranking of search results in search engines too often the parameters of success of a blog. The higher the ranking of a blog on the search results page of search engines (for example, position 1 in the first page), then the more successful blog. Although not very prominent, the number of incoming links that point to a blog can also be used as one of the parameters of success or failure of a blog. Blog with a link back hundreds or even thousands could be considered a success compared to the dozens of blogs that have only incoming links. In addition to flow of visitors, a large number of incoming links is also believed to improve the position of search results in search engines. The next parameter that is often referred to measure the success or failure of a blog is a "Blog Ranking" sort Technorati and Alexa Rank. Technorati has a list of "Top 100 Blogs" in which a highly respected bloggers on the list is often referred to as the A-List bloggers. Alexa Rank is a ranking system based on the traffic where the lower the Alexa Rank a blog, the higher the traffic the blog. Today more and more blogs contest that rewards for blogs and bloggers that also meets specific criteria based on specific categories. Some of the awards can be considered representative of the quality of the blog and blogger who becomes the winner. 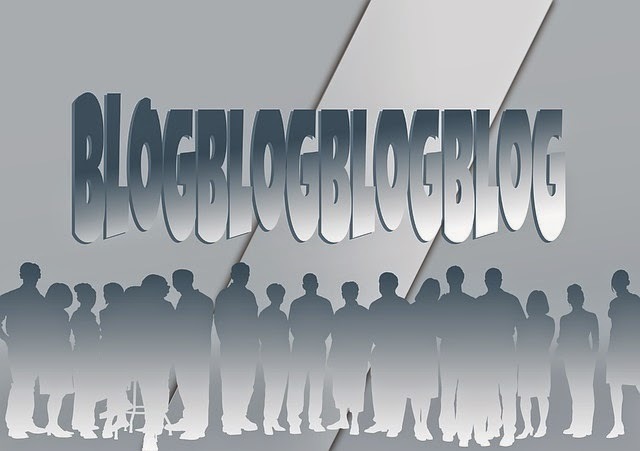 One parameter is the success of a blog or a blog gained fame respective blogger. This fame may come from a unique profile that is only owned by the blogger, the buzz words were created through blogs or the results obtained from the particular achievement of the blogger. Based on these parameters, a well-known blog, despite not having one of RSS subscribers, can still be a success. Google Page Rank is a ranking system created by Google to refer to the popularity of a blog or blog page. On a scale of 1-10, the higher the number the Google PR (ie PR 8), the higher the PR ranking of a blog. Although many bloggers are not too concerned with the PR value, it must be recognized that a high Google PR is a measure of success of a blog. One of the latest parameters that can be used to measure the success of a blog is the number of Twitter followers. The formula is the same as RSS subscribers: the greater number of Twitter followers a blog, the more successful blog. The last parameter that can be used to assess the success or failure of a blog (and blogger) is the money he earned from blogging activities. The formula: the more money made a blog (and blogger), the more successful blog. Although many bloggers who think that money is not the main purpose of blogging activity, but must be accepted also the view that making money through blogging is not something wrong (especially illegal). If done in the right manner and ethical, making money through a blog can even be a prospective business opportunities, legitimate and legal. The 11 parameters blogs and bloggers can be very successful over the course relative and should be addressed differently by each blogger. In fact, who knows there are other parameters that I have not put in the 11 parameters above. What do you think? How do you measure the success of your own blog?